Newly-returned from his working vacation in Australia, Triple Crown champion American Pharoah had the opportunity to meet one of Coolmore's newest acquisitions on Saturday afternoon. 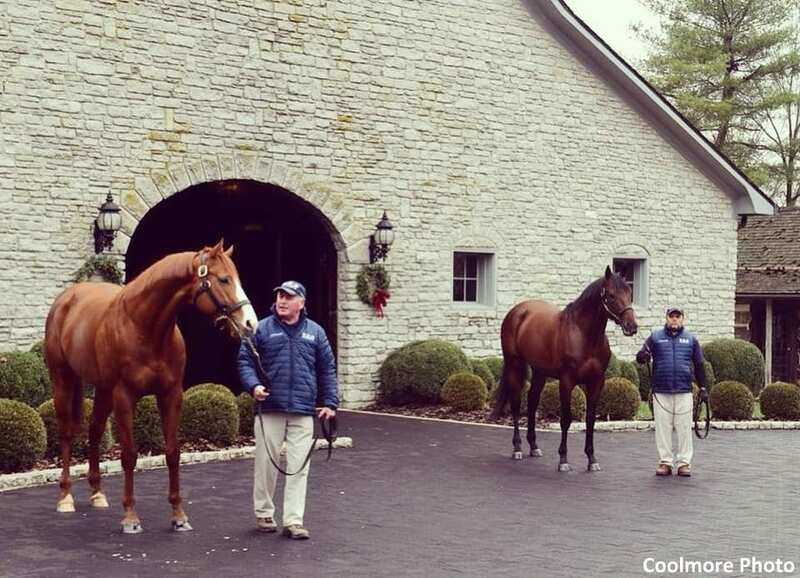 Coolmore America's Ashford Stud oversaw the initial meeting of racing royalty as fellow Triple Crown winner Justify eyed his three-year older stablemate in the stone courtyard. This entry was posted in Bloodstock, NL Article and tagged american pharoah, ashford stud, coolmore, coolmore america, Justify, Triple Crown by Paulick Report Staff. Bookmark the permalink.